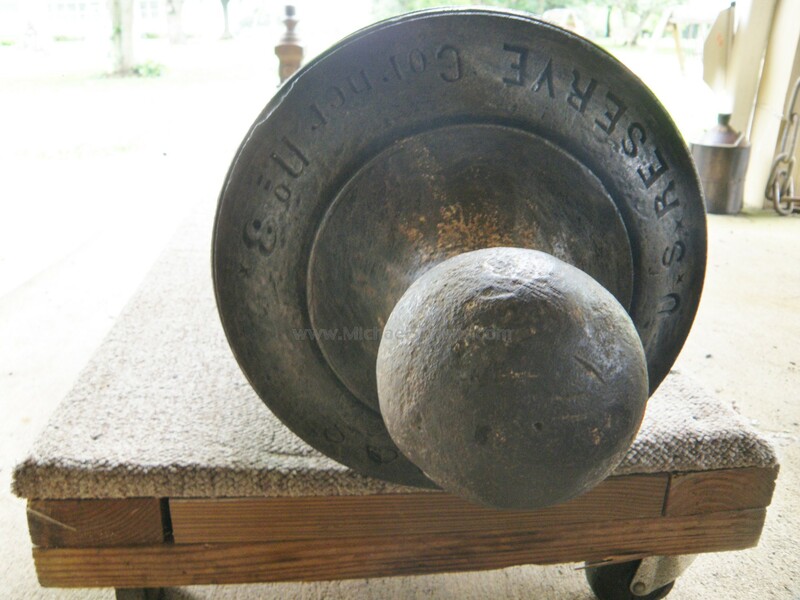 This is a very strong condition iron six-pounder cannon barrel made by the Fort Pitt Iron Foundry and dated 1836. The Fort Pitt Foundry was a nineteenth-century iron foundry in Pittsburgh, Pennsylvania, originally established at Fifth Avenue and Smithfield Street in 1804 by Joseph McClurg. 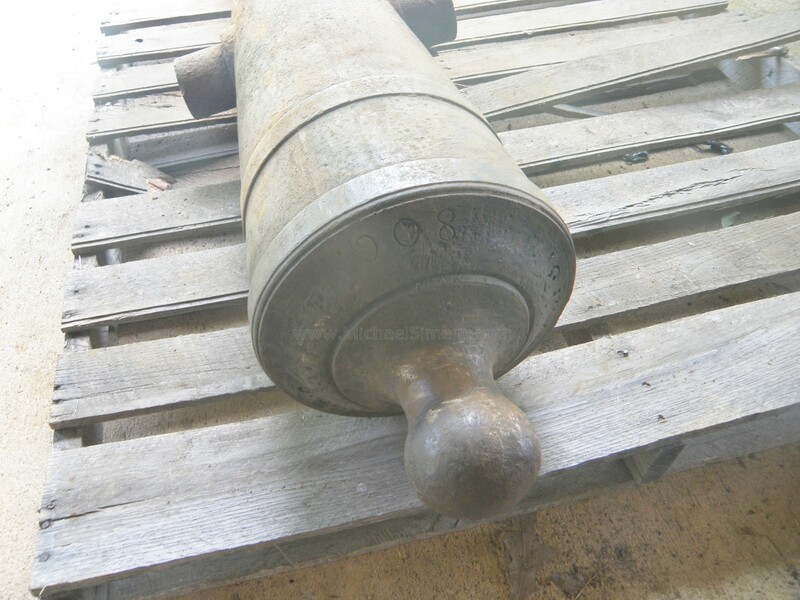 The muzzle face of this cannon is inspected “J.W.R” (James Wolfe Ripley) and “18″. 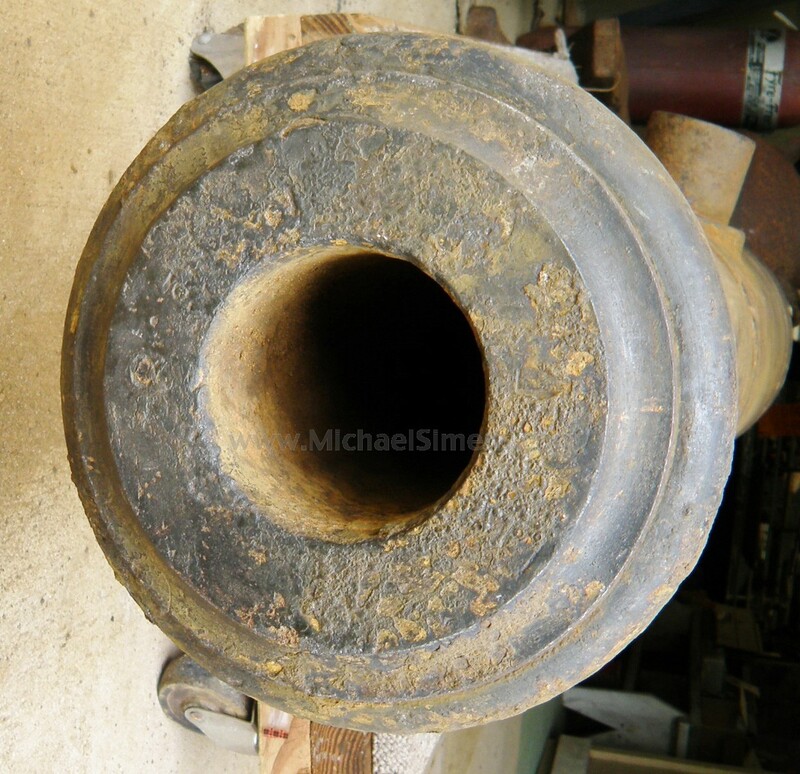 Left trunnion is dated 1836, right trunnion is marked "Mc. W. & Co." and "P.P.F." standing for McClurg, Wade & Co., Pittsburg, Pennsylvania Foundry. 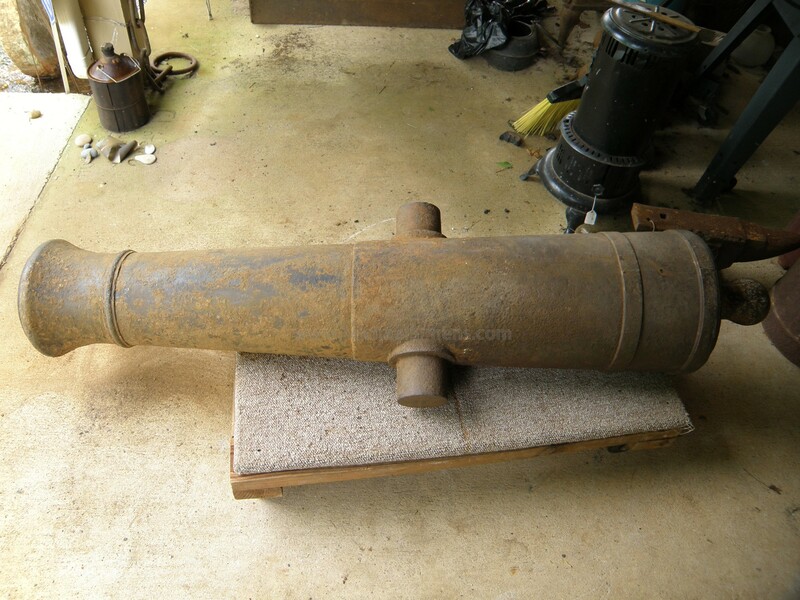 This is a model 1834 tube, one of only a very few that survived testing and use, this with possible Seminole War and/or Mexican War service. The tube shows decorative bands and its cascabel has a horizontal hole of about 1/2″ dia. for bolting to the elevating screw. The rear face of the tube is additionally marked "U*S*RESERVE, Corner No. 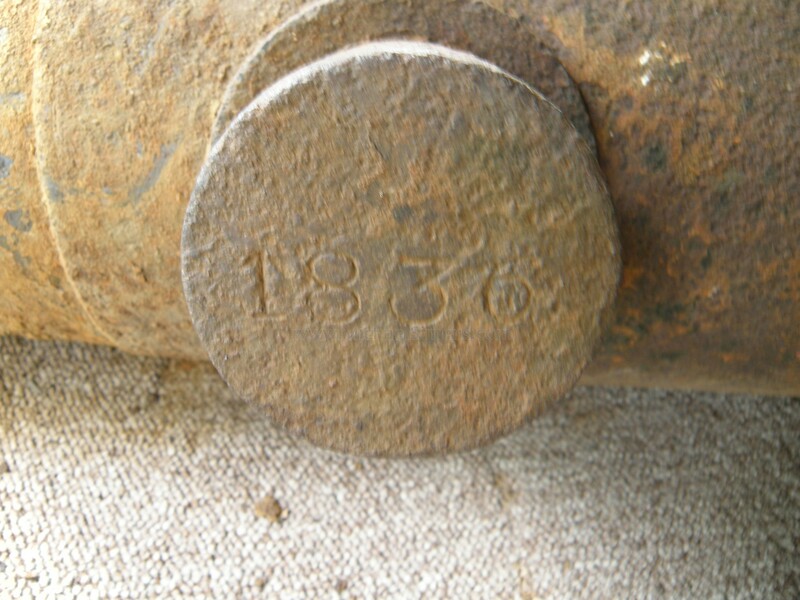 3", the tube undoubtedly mounted at some fort, probably during the Mexican or Civil War as a boundary marker. 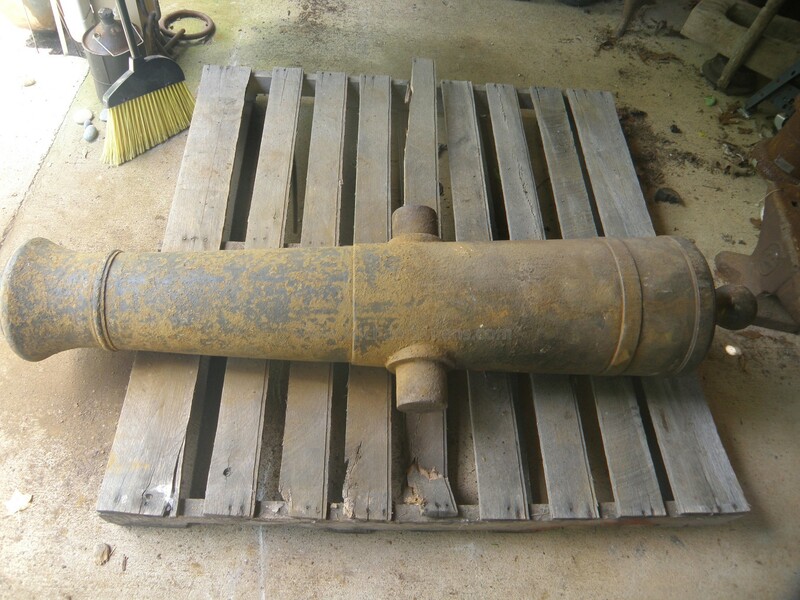 The barrel is in fine condition for an early cast iron piece, showing no evidence of severe pitting and no layered paint. The surface is relatively smooth with fresh surface rust that could be easily cleaned and then painted. 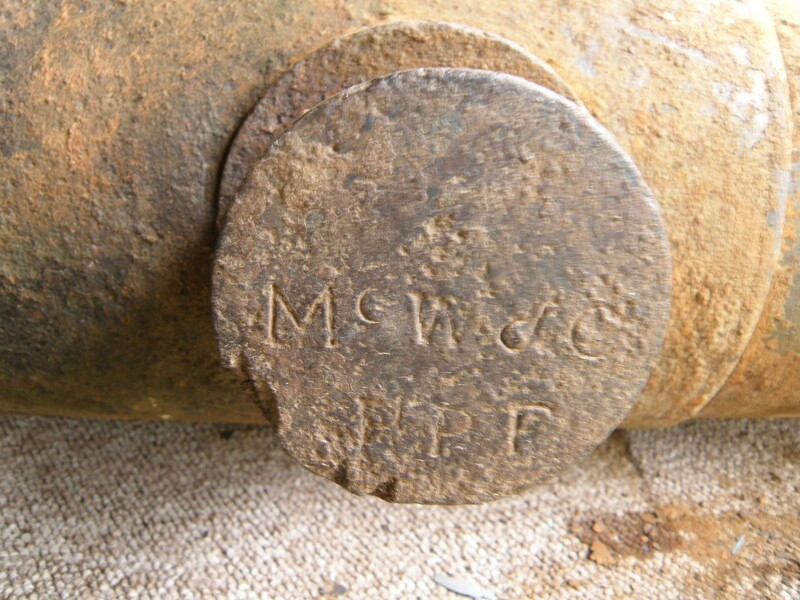 If the price of a bronze gun gives you dry heaves, this could be a candidate for a personal or museum collection, easily mounted on a Number 2 carriage.